Publisher: Atlantic Monthly Pr, New York, New York, U.S.A.
Midway through Jeffrey Lent's turbulent and lyrical first novel, a wayward son indulges a sobering reflection. "Mostly, people are cruel, given the chance," Jamie Pelham observes, not only assuaging his own disappointments but also affirming the intransigence of deed and memory--and prejudice. 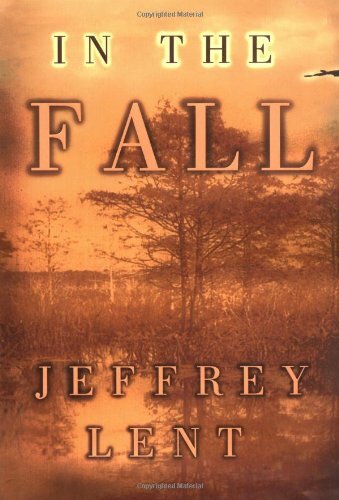 In the Fall is freighted with such moments, as a postbellum Yankee family strives to fathom its past in order to clarify its present. What they find, as Lent's tale ambles over three generations, is the danger of probing too deeply. When 17-year-old Norman Pelham departs his father's Vermont farm to join the Union army, he can little anticipate the incredulity and scorn that his return--accompanied by his former-slave bride--will elicit. The newlyweds make a go of country life, Leah's industry wins the locals' begrudging respect, and the two transact a fidelity that only rarely acknowledges their racial dissimilarities. Leah, however, who fled her native North Carolina after lashing out violently against a lifetime of abuse, believes an inescapable retribution stalks her. And so, beset with guilt and anxious to confront her own past, she briefly leaves Norman and their three children, throwing all five lives into disarray. Her desperation eventually reemerges in her youngest child, the volatile Jamie, who abandons farm life for bootlegging and rash romance. When his own ruthlessness undoes him, it falls to his son, Foster, to uncover the lingering mystery of Leah's life and death, as well as the obstinate racism that has stalked the Pelhams.